From piercing arrowheads to mighty longswords and battleaxes, weapons have clashed on the battlefield from ancient times onwards. 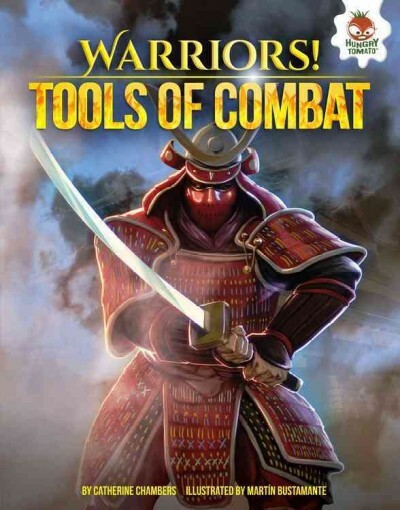 Join the action to see warriors from different times and places wielding their weapons in the thick of combat! - Weapons; History; Juvenile literature. - Swords; History; Juvenile literature. This series explores the different weapons, tactics, and machines of war used around the world and throughout history. After a two-page introduction, each spread has a central realistic illustration with a video-game look surrounded by columns or blocks of text in unfortunately tiny type. Overall, the books give readers decent insight on the broad world history of war. Glos., ind [Review covers the following Warriors! titles: Mighty Fighting Machines, Silent Soldiers, and Tools of Combat.] Copyright 2016 Horn Book Guide Reviews.